Very Good. 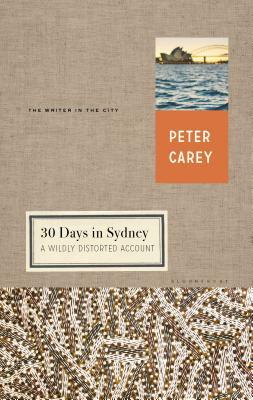 30 Days in Sydney: A Wildly Distorted Account (Writer and the City) by Carey, Peter, 2016-04-07. Sewn binding. Cloth over boards. With dust jacket. 256 p. Writer and the City. Fine in fine dust jacket. Glued binding. Paper over boards. With dust jacket. 248 p. Writer and the City. Audience: General/trade. Good. A copy that has been read, but remains in clean condition. All pages are intact, and the cover is intact (including dust cover, if applicable). The spine may show signs of wear. Pages can include limited notes and highlighting, and the copy can include "From the library of" labels or limited small stickers. Book may have a remainder mark or be a price cutter. EX LIBRARY.